Chem-Dry is Going Pink in October! Help fight breast cancer! Team with us and we’ll donate 10% of your invoice to the National Breast Cancer Foundation. Call and schedule your Healthy Home Carpet Cleaning in the month of October, and we will give you 10% off our regular prices AND we will donate 10% of your cleaning to the NBCF. 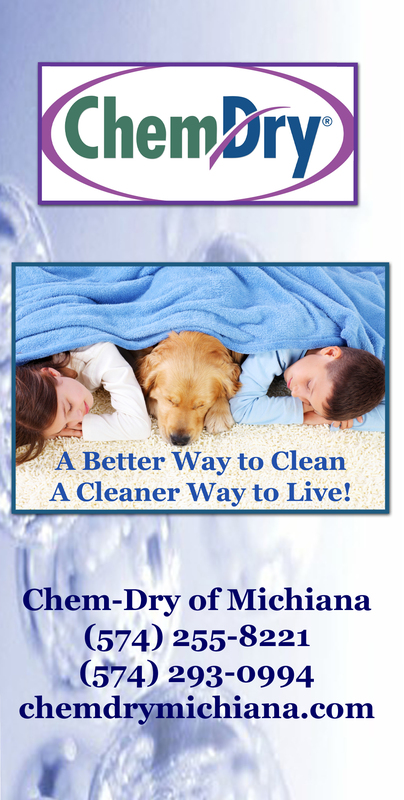 This would include all carpet and oriental rug cleaning, protecting and sanitizing by Chem-Dry of Michiana. Offer good thru October, 2014 and minimums still apply. Call us for details. And we are offering the Pink Can of World Famous Spot Remover. When you go with the pink can, $2 is donated to the NBCF as well! In the month of October, Chem-Dry of Michiana is joining franchises nationwide to donate funds to the National Breast Cancer Foundation. When you have your carpets, upholstery, and/or tile cleaned and protected, you can save 15% off and at the same time we will donate 5% to the National Breast Cancer Foundation. Join us in the effort to find a cure!